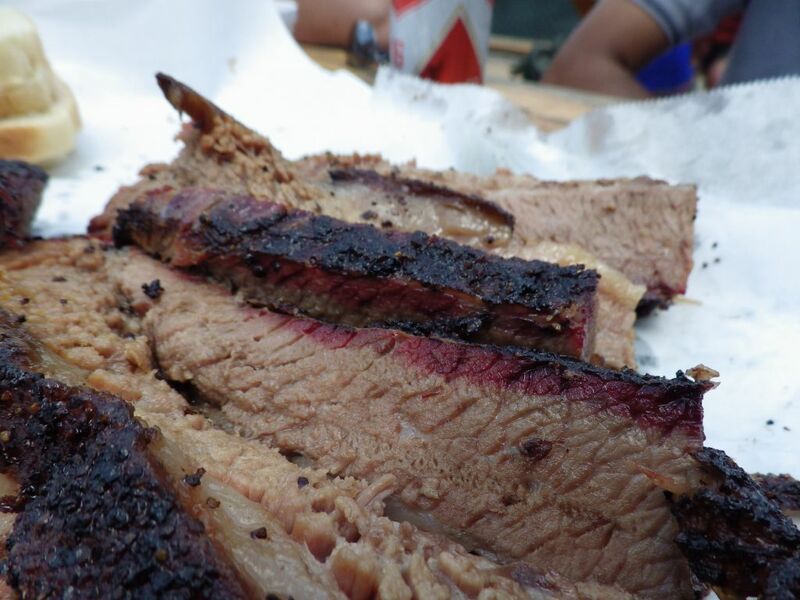 A recent trip to Corkscrew and some great BBQ with co-workers had finally convinced them to venture out with me beyond the Houston area to experience more of the best Texas BBQ joints. We had tossed around the idea of a road trip and finally slapped together a plan when a colleague visiting from India mentioned he was willing to endure one of my manic trips. My nickname for these trips is “liquidation vacations” because they are fast and grueling. A trip to Europe with wife and daughter included renting a car and driving hundreds and hundreds of miles (equivalent to a certain number of kilometers… I think the ratio is the same as the ratio of unicorns to leprechauns), and a road trip to Colorado and New Mexico which covered nearly 3,000 miles in 10 days while driving a rented Chevy Aveo. We even took that little car up and down Pike’s Peak and only overheated the brakes once, but that is another story and doesn’t involve BBQ. First on our itinerary was Snow’s BBQ. 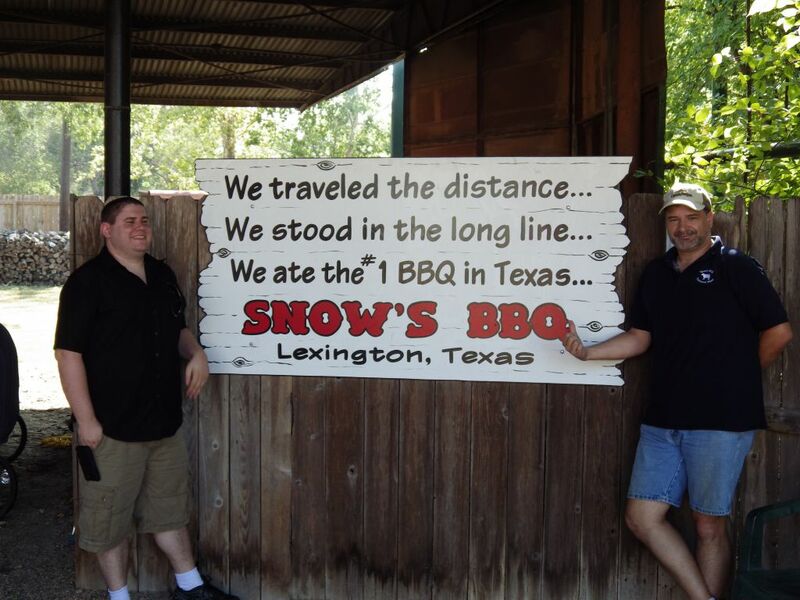 Snow’s was pronounced the best BBQ in Texas in 2008 by Texas Monthly. The BBQ list for the magazine only came out once every 5-6 years so they held onto that title until 2013, where they were bumped by Franklin BBQ but still remain in the top 4. Snow’s also has its own unique story and you can read more about it on their website. 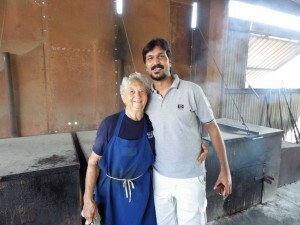 They are also unique in that they are only open on Saturdays, and begin serving at 8am. 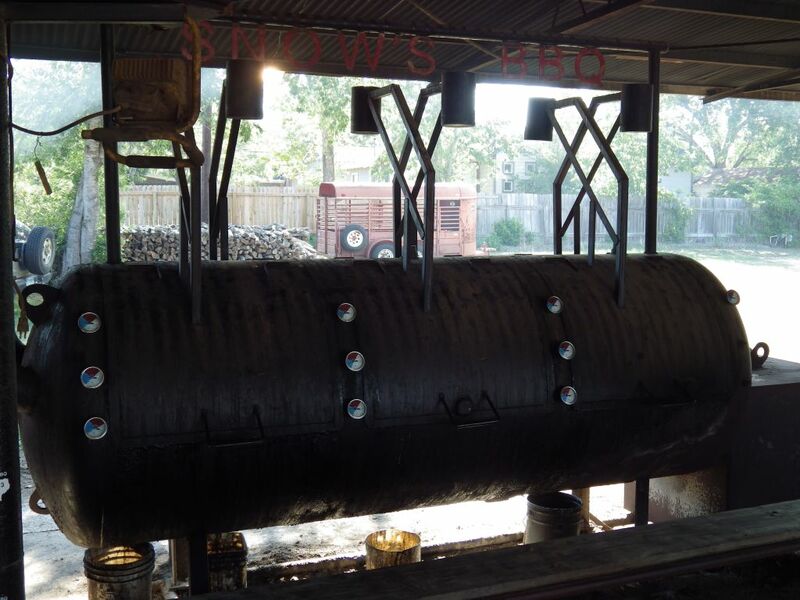 Their location in the small town of Lexington, Texas is a destination for great BBQ but the town of 1,177 could not support weekday business. By opening so early they provide the opportunity to eat there and still make the drive to a second BBQ stop in time for breakfast. 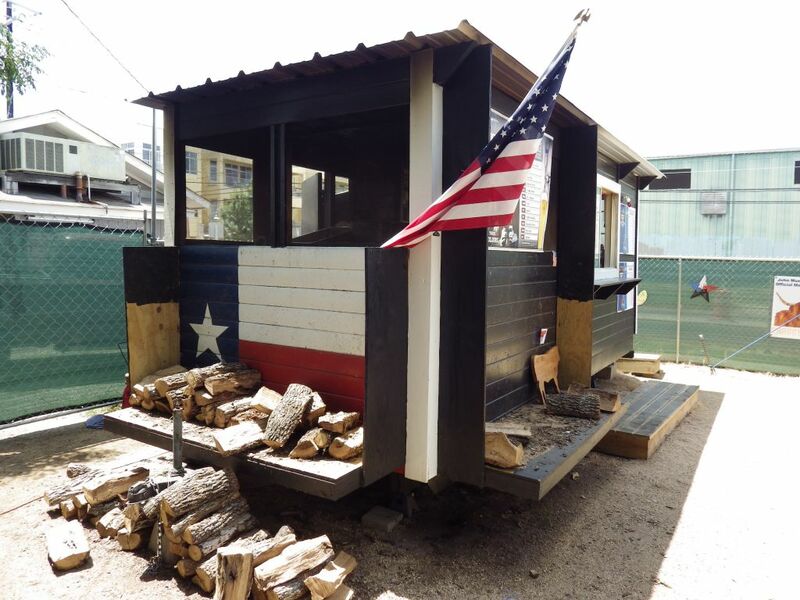 Franklin BBQ would be out of the question as the requirement of such an early arrival there would consume the amount of time we could use for two stops. On weekends I would recommend arriving at Franklins between 8am and 8:30am. While waiting nearly three hours prior to open doesn’t sound enjoyable, the line grows quickly and the wait can be three hours long if you arrive at 10 or 11am anyway. The plan would be to leave Houston at 7:30am sharp and make the two hour drive to Snow’s. 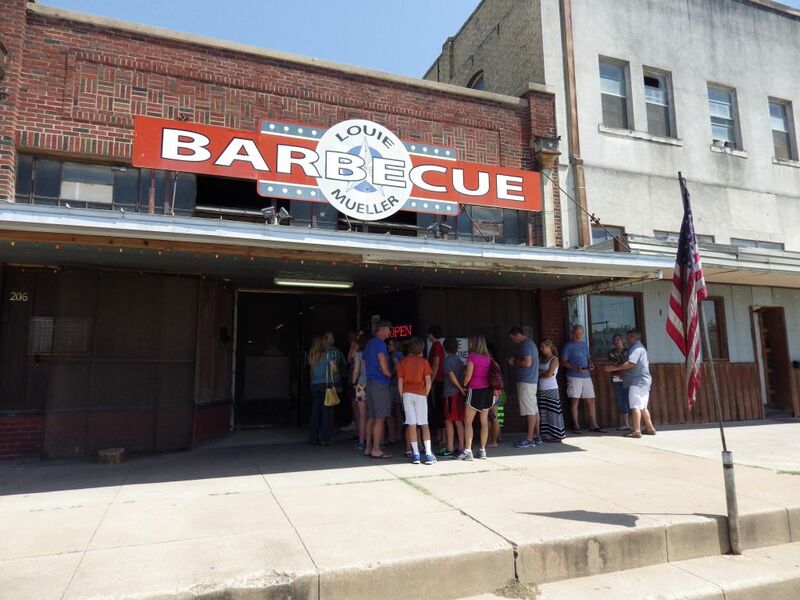 From Lexington we would drive about 45 minutes to Taylor and be there for the opening time rush at Louie Mueller Barbecue. 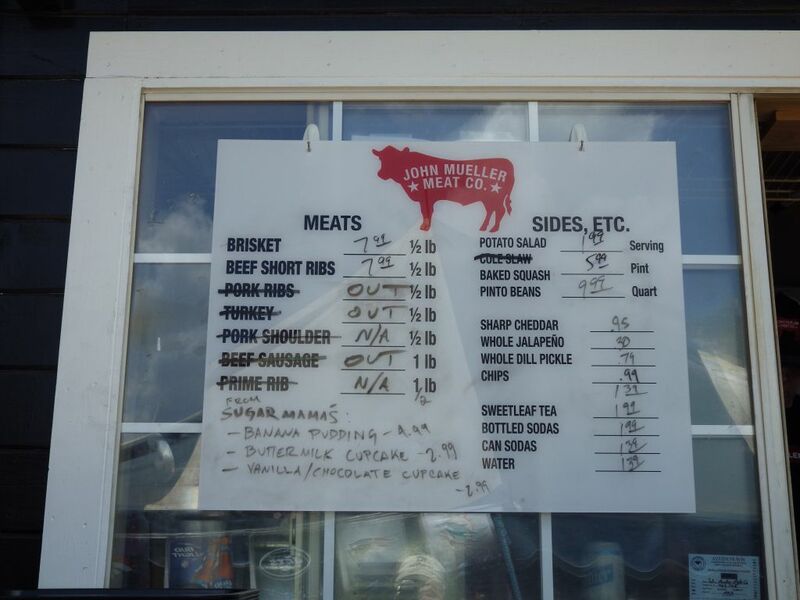 If we played our cards just right we would then zip down to John Mueller’s Meat Company which is about another 45 minutes via the 130 toll way. We would likely arrive there around 1pm and they would probably be out of several options but we were hoping the brisket would still be available. If we failed in that quest we would choose another Austin area alternative that serves throughout the day. Since John Mueller offers free beer we also would spend a little time in the sun and take in the live music. After the long lunch stop we would drive another 40-45 minutes out to Lockhart. There we would have no issue with BBQ selling out, and while the lines are mostly reasonable even during lunch and dinner, I figured they would be especially short at around our expected 4pm arrival. 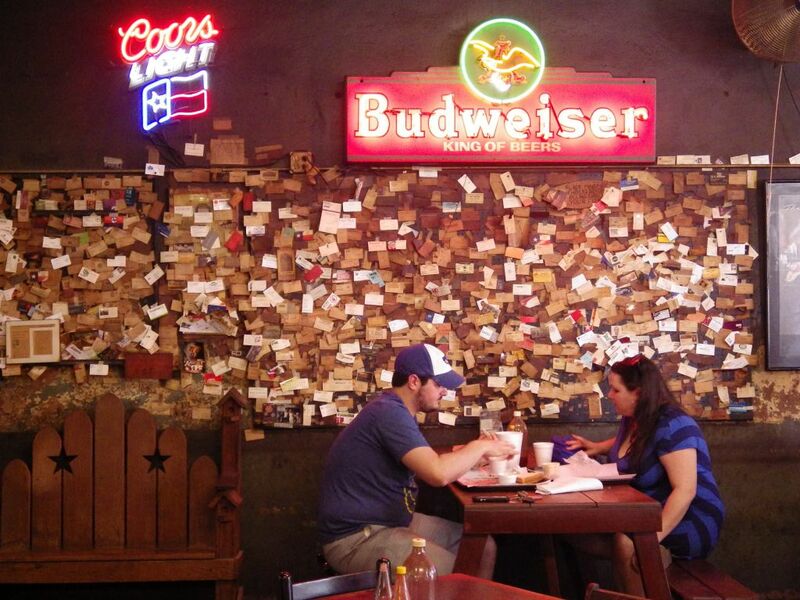 In Lockhart we would sample Kreuz, Smitty’s, and Black’s. With bellies full and the hottest part of the day waning we would make the two hour and forty five minute slog back home to Houston. To say this was ambitious was an understatement but I know that it could be accomplished. It would require punctual arrival at the start and no dilly-dallying at the BBQ joints. There would be ample time for photo opportunities and camaraderie but timing would be important, especially for the first three stops of the day. Getting four grown men to assemble at 7:30 on a Saturday morning is more difficult than it seems, especially with my friends and I. We were to meet at the hotel were Huston Vimal, our Indian colleague was staying. It was across the street from Brandon Griffin’s apartment so I could round those two up easily. For me it was only about a 20 minute drive from the house. I have woken up at 4am to go on a BBQ run before so there wouldn’t be issues making the meeting spot in time. For our fourth participant though we were a little concerned. Ralph Sanchez lives a full 35 miles away and we weren’t fully sure he would make it on time. Any tardiness at the start would throw the entire trip off kilter. If we held tight to the timeline we would be arriving at Louie Mueller only about 15 minutes before opening on Saturday where there would already be a line. The line grows quickly, and if we were later we may have a 45 minute wait or more before eating. The delay at Louie Mueller would throw our stop at John Mueller into jeopardy. When I woke up Saturday I noticed I had received a text at 1:30 am to wake Ralph up at 6:10. By the time I saw the text it was already 6:30 so I quickly dialed the number. Unfortunately I fat-fingered the number and awoke an unsuspecting victim. Dialing more carefully I got a voice mail at the proper number and began to worry a bit but received a text quickly thereafter that Ralph was up and leaving soon. I had packed an ice chest with plenty of water, some soda, and a few beers the night before and topped off the chest with ice as I headed towards our assembly point. We rolled out on time and were on a bee line to Snow’s. One thing that always strikes first timers is how truly small the city of Lexington is. I made the few turns required and pulled up to a great parking spot right around 9am. The line was short with only about 4 small parties in front of us. We waited patiently outside the door to the small building while watching the action at the pits. Large bowls of meat would be brought past us to keep the serving line stocked with fresh food and our stomachs began to tell us it was time to eat. We ordered up a very small meal; one pound of fatty brisket with a small piece of sausage for four men. I explained to the counter service folks that this was the first of many stops today. We had no sides and passed on the free beans as well. We had to pace ourselves. The brisket here is wrapped in foil towards the end of the cooking process and this makes the bark very soft. They also use a rub that is lighter on pepper than a Mueller joint. 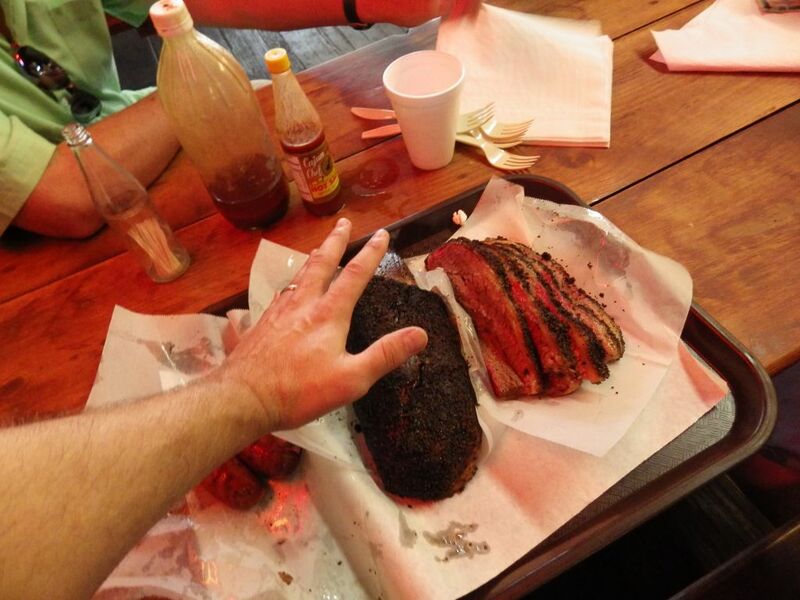 None of this is a bad thing though, and we all loved the brisket. We really wanted more but again I repeated that we had to pace ourselves. The big meal would be next. After eating we lingered for a few minutes taking photos near the pits and Tootsie Tomanetz not only posed for a photo but spent time talking with us and allowing us to take a few more pictures. I really try not to bother pit masters in the middle of a rush and am really impressed when they interact with their customers. It leaves an indelible impression in your mind of the experience and Snow’s is one of those magical little places in Texas that everyone should visit. We left Snow’s while still talking about the finer points of Texas smoked meats and the differences in rubs and wraps. Traveling down the back roads we hit Taylor Texas at about 10:55. My nephew and his girlfriend were meeting us there and by the time we pulled into the parking lot they already had their meal at the table. I had forgotten that Louie Mueller opens at 10am. Luckily many other people are unaware and the line was virtually non-existent with only about 7 or 8 folks in line in front of us. The free sample bites are a Mueller tradition and it set us up for their pepper heavy brisket. This time we ordered more of everything; more brisket, more sausage, and one of the giant beef ribs. The only downside to them is that you pay by the pound and even the smaller ones can be more than a pound and a half each. We passed on any side dishes this time as well except the free cobbler and ice cream that I get with my Q Card. My sister arrived when the line had grown to just over 15 people and was a surprise to me. We had discussed the trip but I thought she was not going to be able to come. The miscommunication meant that she would have to wait in line for about 30 minutes while we finished up our meal. The peppery rub was spot on as usual, but the group gave the nod to Snow’s for the best of the trip so far. I like the Chipotle sausage here but it was a little spicier than a couple of the guys preferred. The beef rib wasn’t as good as my last rib here. This doesn’t mean it was bad by any means but other than the size it just didn’t wow the guys for taste. At $25 for the single rib it did wow them for price. 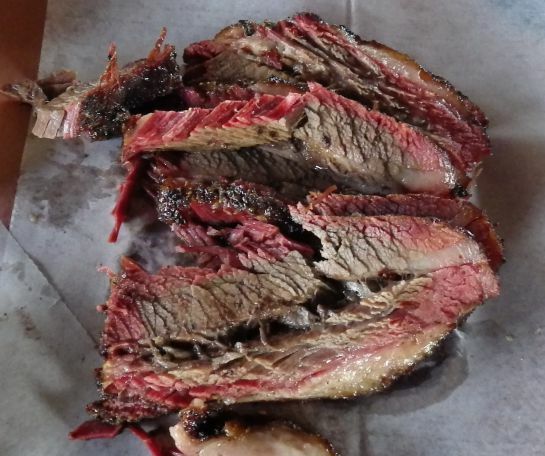 There are a few other places I would also recommend to try the beef rib if you get the opportunity: John Mueller, Opie’s, and Black’s just to name the first three that come to mind. We didn’t want to stuff ourselves as our third stop was not far away so we handed off our leftovers and forged ahead. Well technically I think we forged backwards at first. I’ve been to Taylor multiple times and grew up in Austin, but in my BBQ daze I ventured off down some road that wasn’t in the plans. After carefully consulting the GPS on my phone (I still didn’t trust the GPS lady though), I got us turned around and headed towards Austin. I opted to pay a couple dollars on the toll road; or twenty – I don’t know because it’s all automatic, and we rocketed down to Austin. 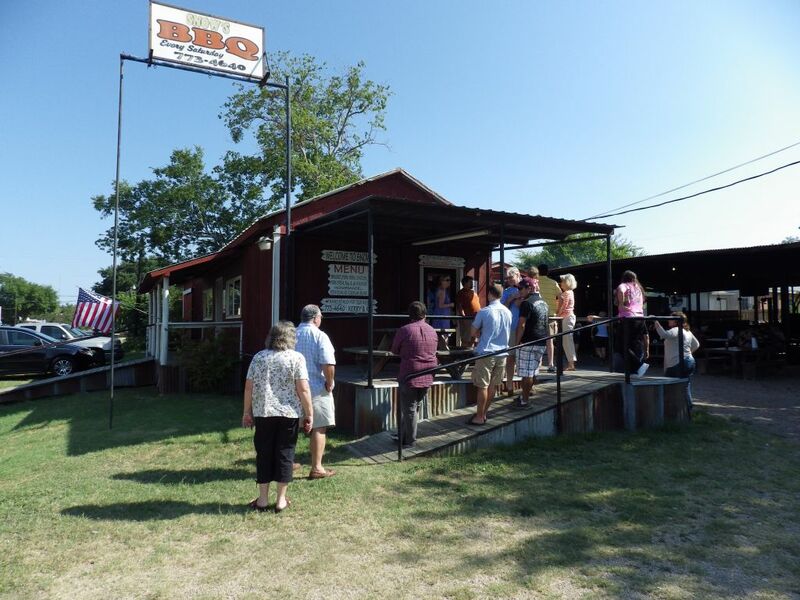 I drove the group past Franklin BBQ on 11th Street as we headed over to 6th Street and Pedernales, home to John Mueller Meat Company. I had expected slim pickings but on this day there was still some brisket left so we got some and snagged a few of the last few free Lone Star beers. We also opened the bottle of Kraken rum and toasted to the success of the trip and the great brisket. When the vote came down, the guys said Snow’s was still in the lead on this day. There was still brisket left! We had been sitting out in the heat of the day while eating and one of the guys, who shall remain nameless to protect his manhood, wasn’t feeling up to hitting three more BBQ joints. We killed some time in the air conditioning of Kellee’s Place, which is a bar that shares the same lot as Mueller. When we walked in it was straight out of a movie; the enter bar turned and looked us over. While I’m sure the music kept playing it felt like time stopped for a moment as we were sized up. However, the bartender was friendly and the drink prices plenty reasonable so we drank a couple of cold drinks while figuring out the rest of the plans. We dropped a little money in the jukebox and chose from the only two English CD’s available. 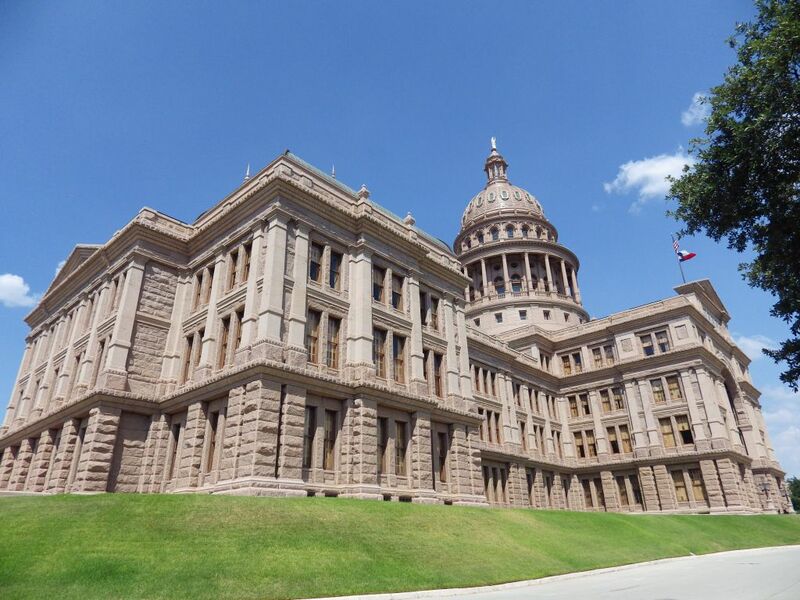 During the time I made a phone call to one of my Austin buddies and we decided to continue the detour at his house in south Austin after a quick visit to the state capitol building. At my friend’s house we went over the pictures we had taken and regaled in our day’s experiences. The team voted and Lockhart would be dropped off the plans for the day, a little to my disappointment but also a little relieved that after a few hours of indecision we had solid plans. As an alternative I offered to stop at Southside Market in Elgin. The brisket there is unable to compare to Lockhart or our three stops of the day but there is history behind the name and the sausage is good enough to warrant a quick stop. We pulled up to Southside as the sun was ending its daily trek. The building is large and engineered to move people through quickly. They sell a lot of meat here, and there is a true meat market and prepackaged meats to go available. However, our only intent here was to grab a few sausage wraps to end the day’s festivities. We made the final hundred or so miles listening to the radio and going over the wild ride we had. 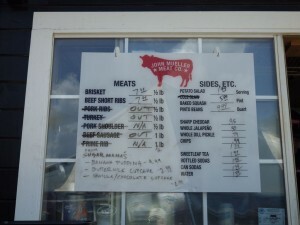 Not only did we talk with Tootsie in the morning, I also had a long chat with John Mueller after our brisket there. Our chat was quite varied and we covered topics that strayed far from BBQ. I’m not going to go into any details but I’ll just say that it was awesome and leave it at that. When we parted ways we slapped each other on the back and laughed: four joints in four cities with virtually all meat and no side items except a shared dish of ice cream. One more BBQ road trip down with more to go. Tags: John Mueller, Louie Mueller, Snow's, Southside Market.